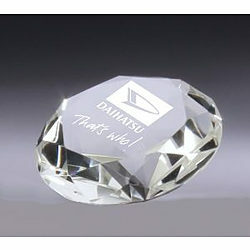 Crystal diamond 80mm diameter in quality presentation case. Comes in 2 sizes. Choose size from option button on right.